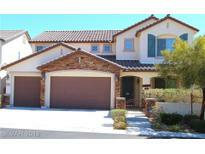 Below you can view all the homes for sale in the Madison Grove At Providence subdivision located in Las Vegas Nevada. 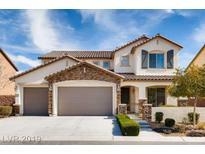 Listings in Madison Grove At Providence are updated daily from data we receive from the Las Vegas multiple listing service. To learn more about any of these homes or to receive custom notifications when a new property is listed for sale in Madison Grove At Providence, give us a call at 702-930-8014. Try to find a home dialed in as this one.Everything you would expect in a home at this price point.Beautiful porcelain tile floors,huge kitchen that has loads of counter space,large island with beautiful granite,under cabinet lighting,cabinet with pull out drawers,recessed lights-leds,ceiling fans,Master bedroom separate from other bedrooms,beds 3 & 4 have a jack & jill bath.Backyard is impeccable, pool,perfectly manicured landscape, & lighting MLS#2085849. BHHS Nevada Properties. Fantastic highway 95 and 215 access. Located near restaurants and stores MLS#2083879. Nationwide Realty LLC. Community park and trails along with common area maintenance are part of the HOA. MLS#2077223. Opendoor Brokerage LLC. Very clean with 4 beds, 4 baths, make it your own! No SIDS, paid off! 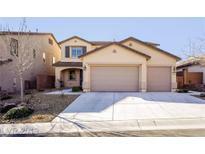 MLS#2071180. Century 21 Americana. No SID & the home is Energy Star Certified! MLS#2026370. Realty ONE Group, Inc.